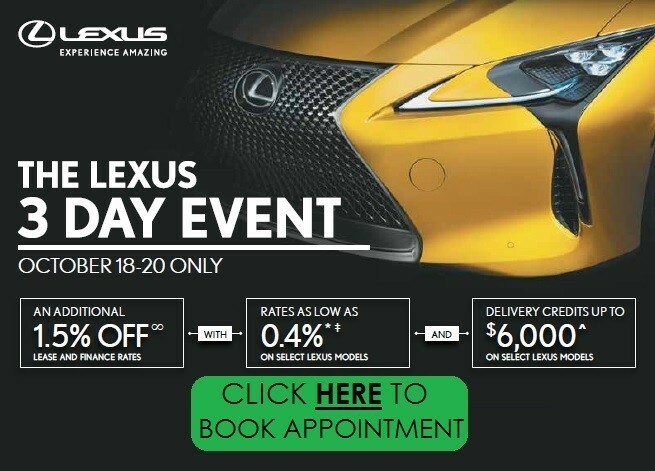 Lexus Tire Price Match Promise is valid on Winter, All-Season and Summer Tires. 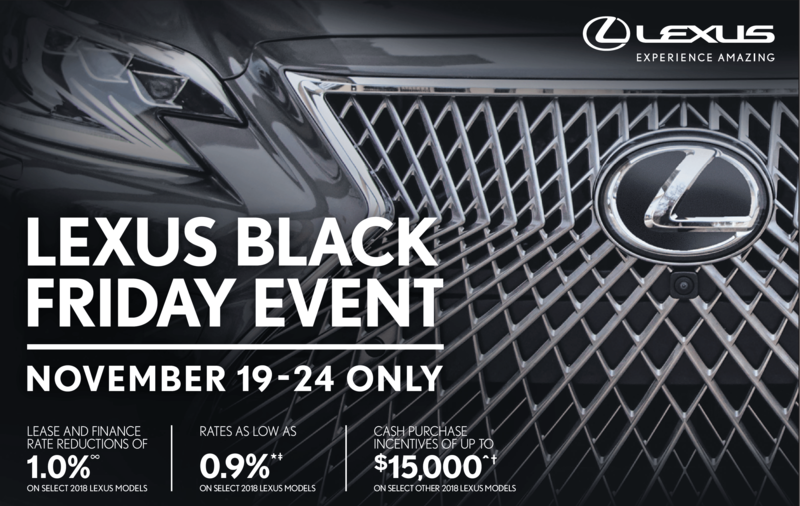 Click "Learn More" to start choosing your new Lexus Tires. Questions? Ask our tire experts. 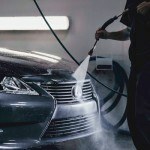 Lexus Oil & Filter Service includes a 30 Point Inspection by a Lexus Certified Technician and Vehicle Wash. HST extra. 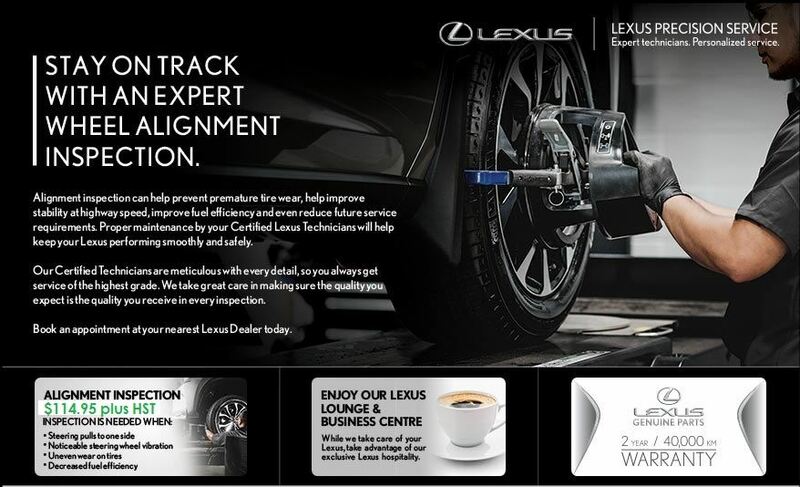 Stay on track with an expert Wheel Alignment Inspection. Our Certified Technicians are meticulous with every detail. 4 Wheel Alignment is $114.95 plus HST. 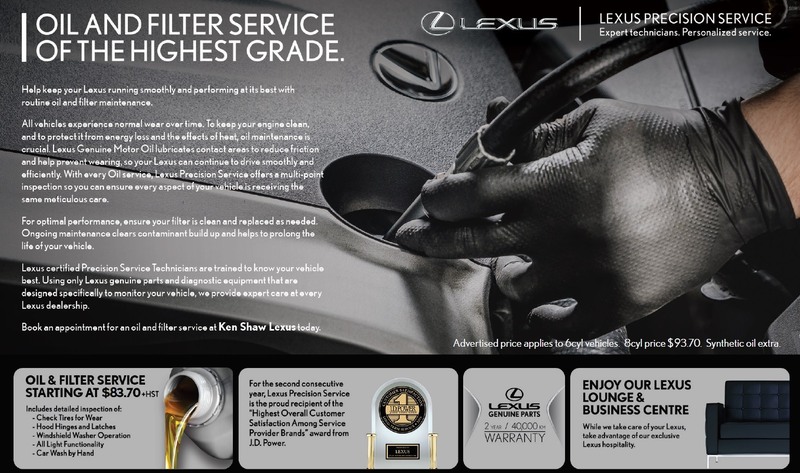 Fuel Injector Cleaning Service ensures your Lexus has the cleanest fuel, free of build up and junk. 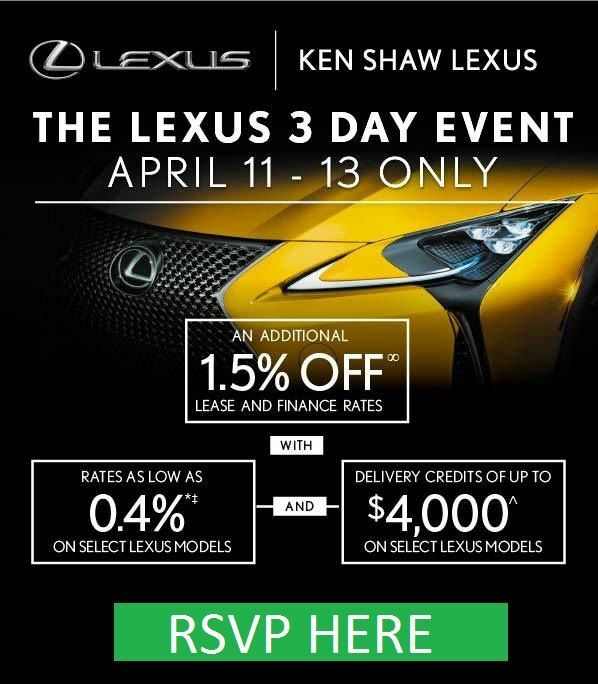 Available on most Lexus models. Call us for more details. $165.95 for Gas Engine, HST extra. The new map features over 6 million miles of road and 8 million updated Points of Interest. 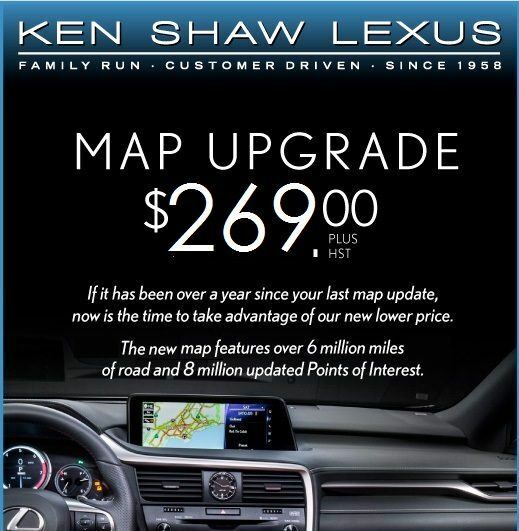 Lexus Navigation update is $269, HST extra. 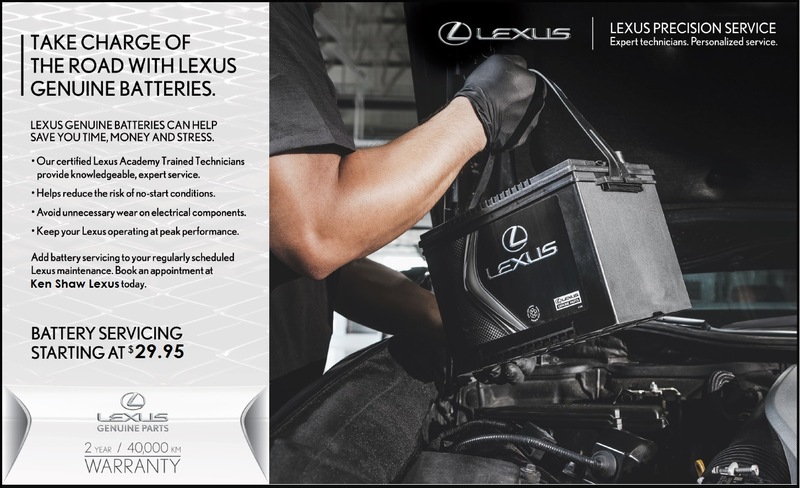 Receive a 2 year/ 40,000 km Parts Warranty on new Lexus service replacement parts when purchased and installed at Ken Shaw Lexus. 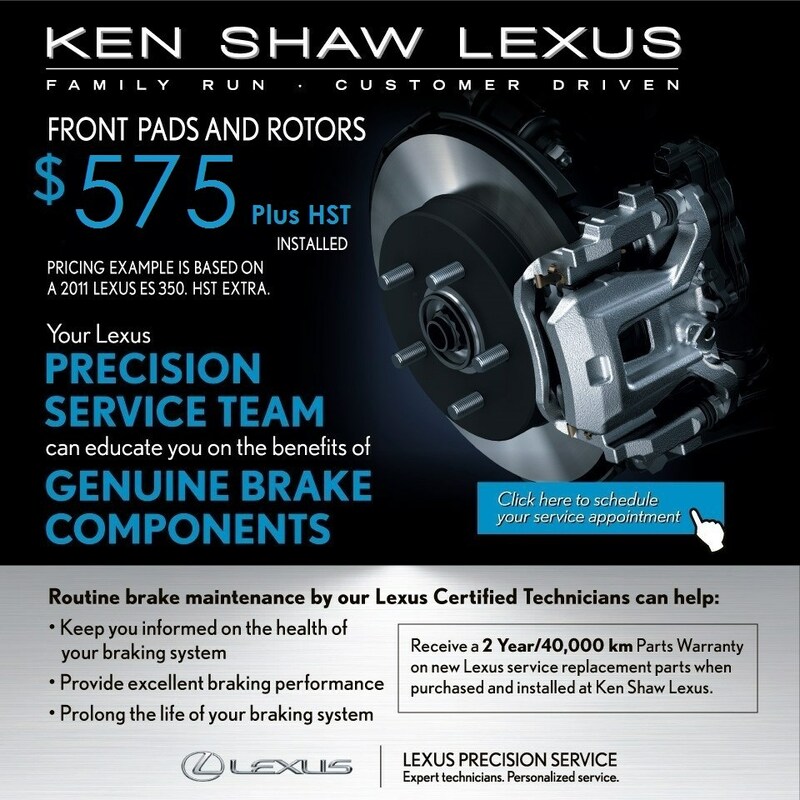 New front pads and machine rotors at Ken Shaw Lexus in Toronto is $575.00 installed. HST is extra. 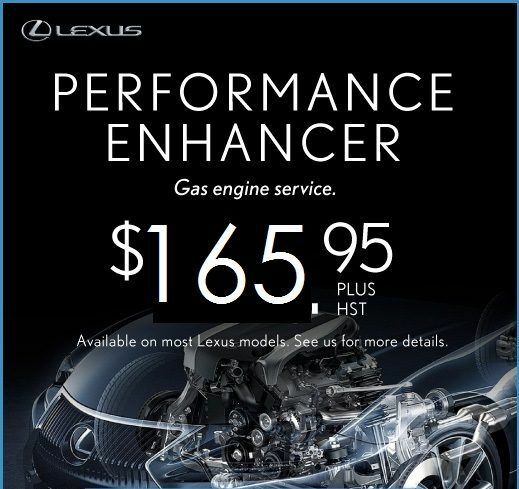 Pricing example is based on a 2011 Lexus ES 350.